Finally we have established the organization Trondheim Makers to drive an innovation culture in Mid-Norway. This is a real teamwork in the region to inspire people to experiment and build new things. We already have a lot of good initiatives in Trondheim for innovation and Trondheim Makers will try to involve all these to ensure we do not reinvent the wheel. The great thing about MakerFaire and the Make community is that it is very international and capture all ages of people that are curious. Please visit http://www.makerfaire.com to get an idea about this. We will need all companies, organizations, people, investors and others to help us with this. It is a non-profit initiative and the money we collect will be solely used for the purpose of driving this organization and to create activities in schools and other organizations to inspire the community we want to meet at MakerFaire in Trondheim 2014. Trondheim Makers established Friday 13. September. 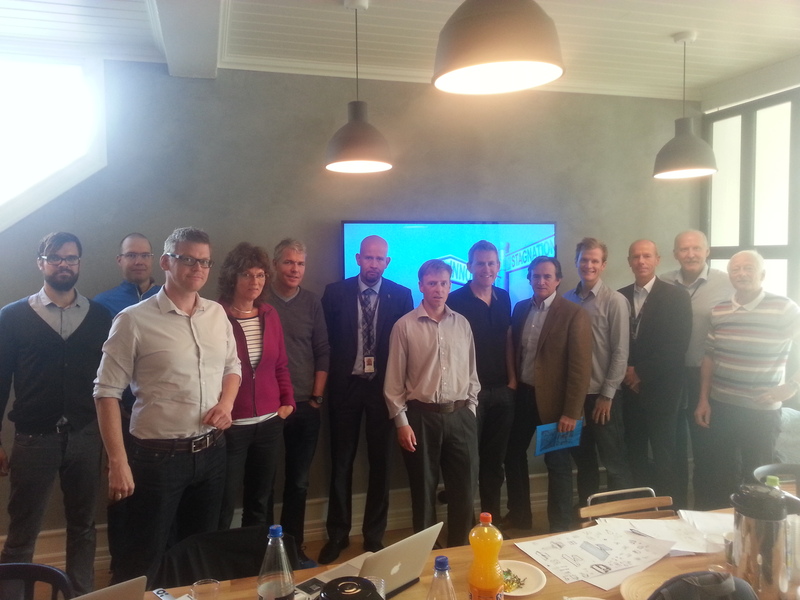 From Left representatives from: Kantega, Pstereo, Atmel, Olavsfestdagene, Powel, Trønderenergi, Tlab, Novelda, Røe Kommunication, Norwegian Creations, Hist, Statoil, Trondheim Kommune. I am proud of the fact that Bård Benum from Powel and Randi Wenche Haugen (x Olavsfestdagene) wanted to join as board members. They are both very passionate about innovation and culture and really care about their city. We also have a few more people joining the board soon to ensure we have the right mix of people. This will be people with good connection to young entrepreneurs at schools and with good connection to the Make community in Trondheim. Send us a mail from that site and help us get this rolling. Please help us spread this word. This entry was posted in All, News and tagged alf bogen, Creativity, culture, curiosity, innovation, Maker Faire, Mini Maker Faire, New York 2012, Norwegian, Powel, Trondheim Makers, Trondhem. Bookmark the permalink. Novelda radar count my heartbeat from a distance !